With this first of-its-kind collection, drummers can now play Buddy Rich's charts with the Buddy Rich Alumni Band! Arguably known as the "world's greatest drummer" for his unique virtuoso technique, Buddy Rich has inspired legions of fans spanning generations and different genres of music. Now those fans can learn eight of his famous hits with Hal Leonard's new Buddy Rich - Drum Play-Along Volume 35. With a blessing from Buddy's daughter Cathy, this collection features sound-alike audio recordings featuring Gregg Potter and the Buddy Rich Alumni Band. 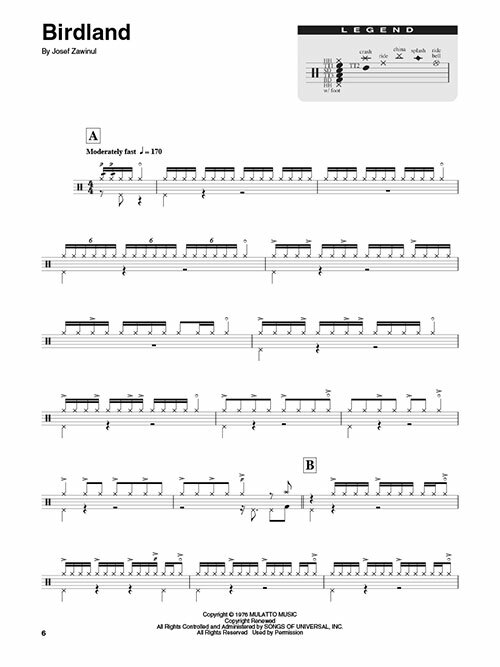 Drummers can follow the drum notation, listen to the audio to hear how the drums should sound, and then play along using the separate backing tracks. The lyrics are also included for quick reference. The collection features Playback+, a multi-functional audio player that allows you to slow down audio without changing pitch, set loop points, change keys, and pan left or right. Eight songs are featured in this volume, including: Birdland * Dancing Men * Groovin' Hard * Keep the Customer Satisfied * Love for Sale * Mercy, Mercy, Mercy * Norwegian Wood (This Bird Has Flown) * Nutville. Buddy Rich - Drum Play-Along Volume 35 is available from music and bookstores or online today through the Drummer Cafe!